The Pittsburgh Symphony Orchestra officially relocated to Heinz Hall in 1971, leaving space for new bands such a Pink Floyd who made their debut Pittsburgh performance in 1972. This show was performed the month before Pink Floyd began working on their eighth album, The Dark Side of the Moon, one of the best-selling albums of all time. Did Blood Sweat and Tears open for Pink Floyd at the Mosque in 1972? To my knowledge Pink Floyd has never had an opeing act. 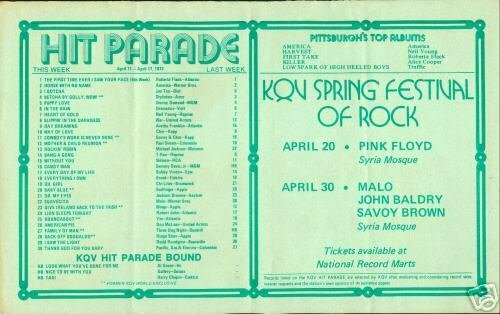 By the way, I have a ticket stub from Nov 19, 1971, Pink Floyd at Syria Mosque.